Fly patterns and sizes vary greatly depending on the water height, colour, temperature and what is the ‘new must have fly’. – all types of hairwing flies especially Ally’s Cascade, Shadow Cascade Original Ally’s Shrimp and Silver Grey remain popular. 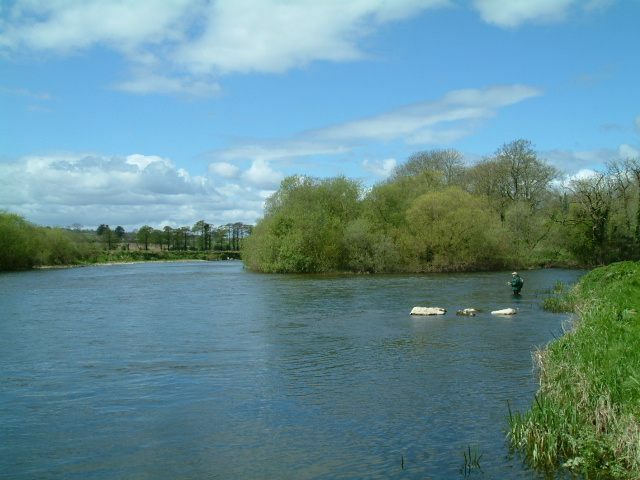 – Irish Shrimp flies especially Bann Special, Foxford Shrimp, Apache and Silver Shrimp also have proved themselves over the decades. – the old favourites such as Stoat’s Tail, Silver Stoat, Munro Killer, Thunder and Lightning, Hairy Mary, Blue Charm and Garry Dog are always worth their place in your fly box. The fly that is most likely to succeed is the fly that you have the most confidence in. In recent years flies such as the Snaelda, Frank n Snaelda, Black and Red Francis, Bombers, Scandi-Style Tubes, Micro trebles, Intruders, Hitch flies and Surface Skaters have proven themselves to be very successful on the Blackwater.